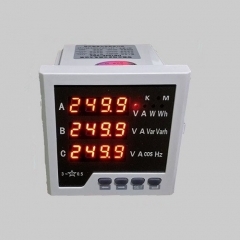 The Energy-efficient control panels use LED multifunctional ammeter is an ideal device for power quality monitoring. 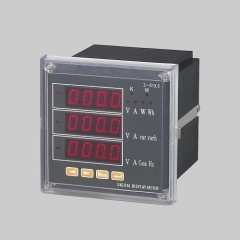 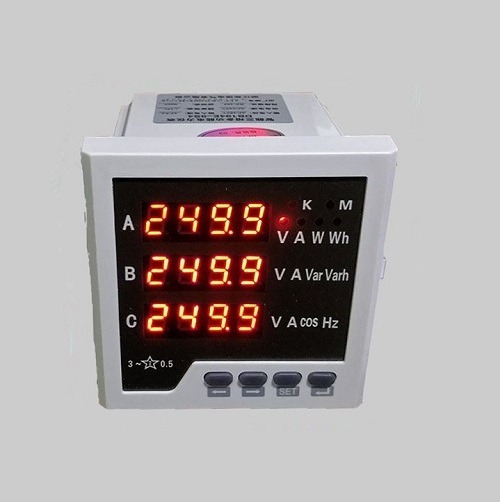 The meter has the function of simultaneously measuring current, voltage, frequency, active power, reactive power, apparent power, electric energy, power factor, etc. 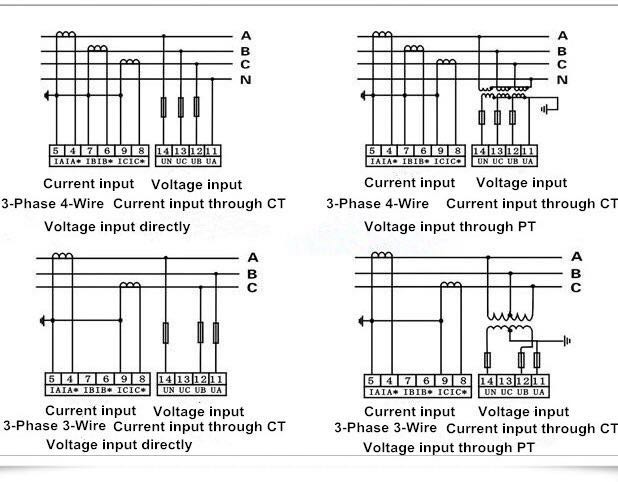 in the power grid. 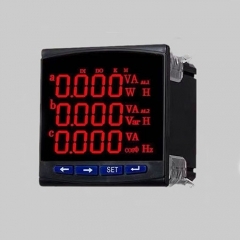 It is suitable for distributed detection of transformers, generator sets, capacitor banks and motors, and on-site monitoring of power grids and automation control systems. 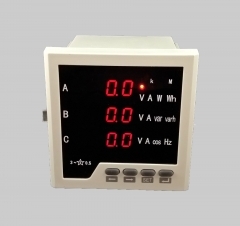 Energy-efficient control panels use LED multifunctional ammeter with CE certificate. 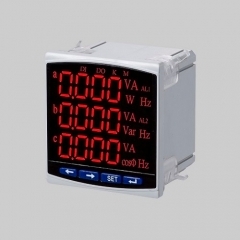 Multi-function power meters can also be used in factory automation and building automation. 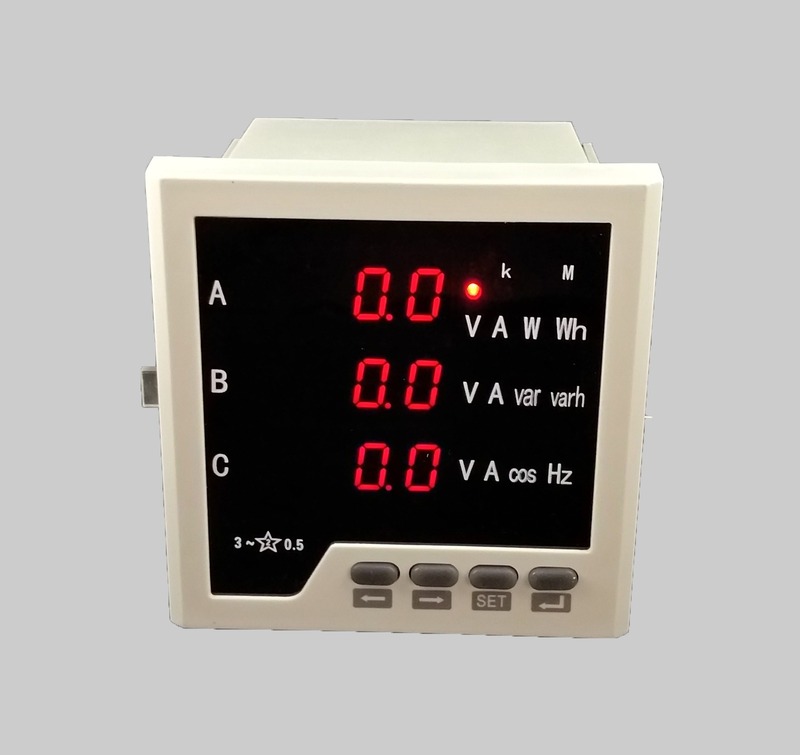 It can measure all the power parameters, and can be easily applied to the measurement and data recording of AC-opening and industrial power supply distributed measurement and control systems of various ranges. 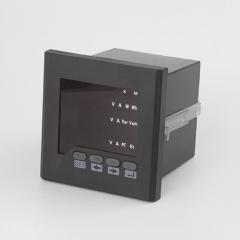 On the basis of our company's multi-function power meter, a simple monitoring system can be established by simply adding a central communication master display software based on IPC industrial computer. 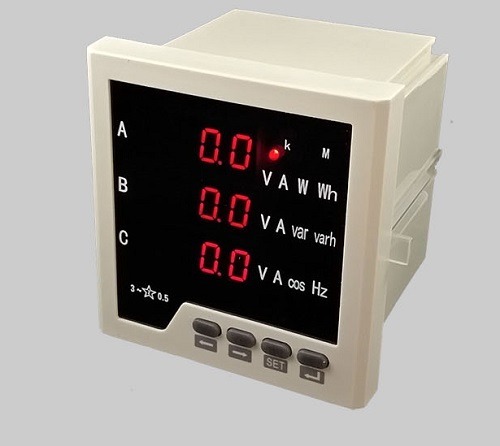 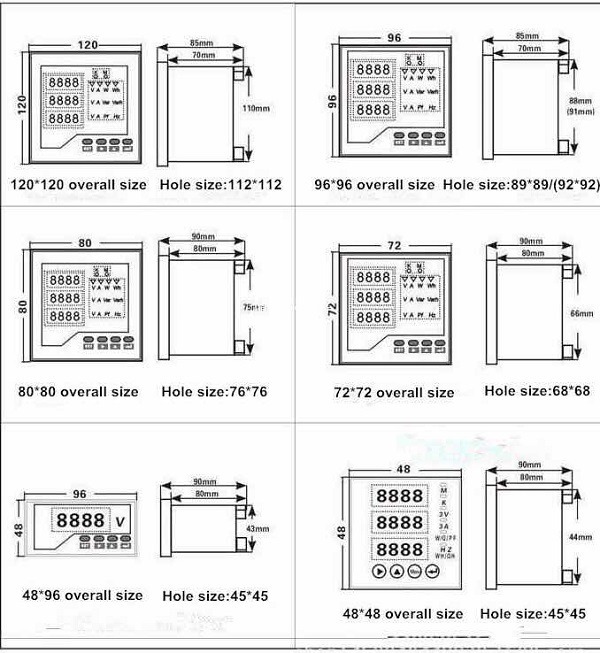 Multi-function power monitor can replace many traditional panel or digital measuring instruments (such as ammeter, voltmeter, power meter, power factor meter, frequency meter, etc. 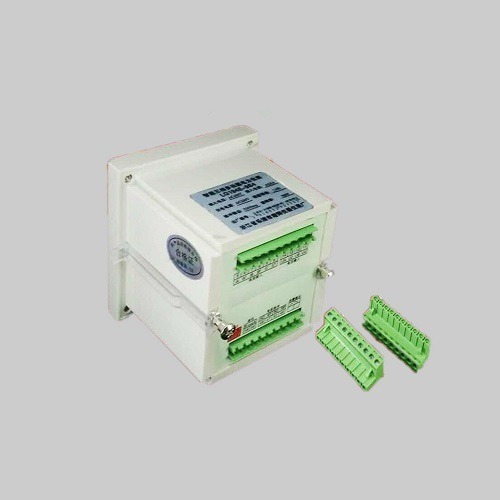 ), which can greatly reduce system cost, facilitate field wiring and improve system reliability. . 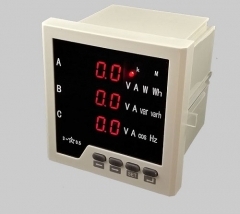 The multi-function power monitor is equipped with a serial port (RS-485), which allows connection to an open-structure computer network; the Modbus-RTU communication protocol is used to facilitate computer programming or reading.